What could happen to you if you get in a motorcycle accident? Learn the most common injuries and how you can protect yourself from Mullen & Mullen. Have you ever seen or been in a motorcycle accident like any of those in the video below? The video is totally safe to view at work. It does contain intense crash scenes, but none are grotesque or disgusting. Motorcycles let you have a lot of fun, and you help the environment by saving some gas too. And, they come with additional risks. Often those risks involve things you can’t prevent or control. You’re in a motorcycle accident. Is the manufacturer responsible for your injuries? They might be. Learn when you can seek compensation from your motorcycle’s manufacturer from Mullen & Mullen. When you get in a motorcycle accident, can you sue the company who made it? If so, under which circumstances can you? The short answer is yes, you can absolutely sue your motorcycle’s manufacture. However, you have to show they had liability in your accident. You may not be able to pursue them for the full coverage of the accident if multiple parties have responsibility for your injuries. Have you been in a motorcycle accident? Do you know what’s most likely to cause one? It’s just the way it works. So, you have to take proactive action and anticipate the most common mistakes other drivers will make. Plus, you have to watch out for a couple unique situations you can face when alone. Many drivers report seeing motorcycles directly in front of them and turning left anyway. To some degree, it seems that human minds associate only what they see most often, cars and trucks, as vehicles. Sometimes, drivers simply forget and don’t recognize motorcycles as moving vehicles. That includes even well-intended, and otherwise responsible, drivers. Hurt in an auto accident? 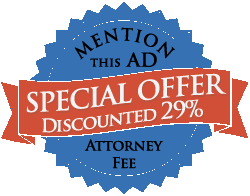 Learn what papers your lawyer will need you to provide for the best representation. What could be less fun than getting into a car accident? Wasting all your time assembling the paperwork afterwards so you can file a claim. If you’re like most people, you don’t want to have to think about assembling paperwork. After all, you’re injured and are going through a lot of stress and uncertainty. You want to focus on taking care of that one day at a time – not assembling a paper trail to win your claim. You drive around St. Louis for the afternoon. Or, you head out to the country using the state highway system. Should you be fraught with fear when you drive? Of course, it’s always responsible to have at least some level of concern. But, should you be more concerned in Missouri versus other states? Maybe less? Or maybe things are just about the same in Missouri, and you really shouldn’t be more concerned here than anywhere else. First, is Missouri Getting Safer or More Dangerous? According to stats from the Missouri State Highway Patrol, we’re getting safer as drivers. In fact, we’re a lot safer than we used to be. Will you get a fair personal injury settlement offer from the defendant? Learn how to know if you should take the offer you get in this post. Did you know the world’s largest lawsuit was just filed? Anton Purisima, 62, is suing a long list of defendants, including the City of New York and LaGuardia Airport, for what started with a dog biting his middle finger and evolved into a slew of other civil rights violations. Guess how much he wants? Two undecillion dollars. That’s a 2 with 36 zeros after it. It’s currently more money than exists on the entire planet! Purisima does not have a personal injury lawyer and has chosen to represent himself. As you might guess, he likely has some mental health issues and isn’t expected to win the claim. His story clearly doesn’t come anything close to fair. But you’re not like Mr. Purisima, and most injury victims aren’t. Did you know that in accidents where your car’s repairable, you’re likely entitled to money for “diminished value?” Learn more about it in this post. Think car accident claims are relatively easy to understand? They can be. But “diminished value” is one of those ideas that complicates everything. In theory, “diminished value” refers to the idea that the resale value of your car falls after an accident simply because it has been in a wreck. For example, a local auto dealer won’t be able to get as much money for a car if they have to disclose that it was previously involved in an accident. Consumers simply don’t like those cars as much, and won’t pay top dollar for one, even if it is in perfect operating and aesthetic condition. How does Missouri law protect you when your car gets damaged in an accident? Find out from our St. Louis personal injury lawyers. You’re hit in a car accident. How does recovering money for the physical damage to your car work in Missouri? What are You Generally Entitled to Recover? You got in a car accident. Can you get money for your injuries? Maybe. Learn what St. Louis personal injury lawyers Mullen & Mullen have to say. In some states, like Arkansas, Colorado, Georgia, Idaho, Kansas, Maine, Nebraska, North Dakota, Tennessee, Utah, and West Virginia, if you are at least 50% or more at fault for your injuries you are barred from recovery. In other states, this number bumps up to 51% responsibility. And in South Dakota, if you have any negligence beyond “slight negligence,” you can’t recover anything for your injuries. In other states and places, like the District of Columbia, Maryland, North Carolina, and Virginia, you can’t recover anything for your injuries if you contribute to them in any way. Sounds a little harsh and ridiculous, does it not? But, that’s the way it works for them. What are your legal rights if you get injured in a car accident in Missouri? Find out in this post. What if the Other Driver Doesn’t Have Enough Insurance to Cover Their Damages? You have two options here. The first is to verify whether the other drive has an umbrella policy. If they don’t your best bet is to file an underinsured motorist claim with your automobile insurance company – provided you have UM/UIM coverage, of course. If you don’t have UM/UIM coverage your remaining option is to go after any personal assets the at-fault motorist might have. Remember, though, that many people don’t have recoverable assets. After all, most people that have substantial assets have very large insurance policies.